Sift the flour, mustard, cayenne and salt into a bowl and rub in the butter until the mixture resembles breadcrumbs. Stir in 2/4 cup of Kingdom Cheddar and the apples. Add the egg and Organic Valley Milk and mix to a soft dough. Turn onto a floured surface, knead lightly and roll out to a 2cm thickness. Cut into 20 rounds with a 4 cm plain cutter, re rolling the dough as necessary and place on a floured baking sheet. Brush with organic milk and sprinkle with the remaining Kingdom Cheddar. Bake at 400F for 12 – 15 minutes until golden brown. 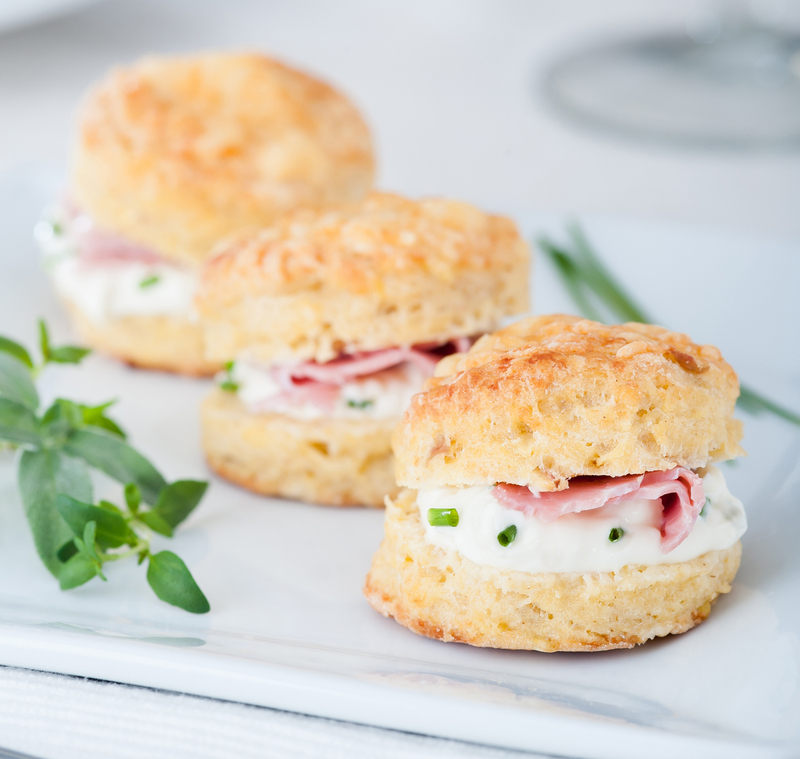 Enjoy on their own or fill with cream cheese and ham for a delicious appetizer.